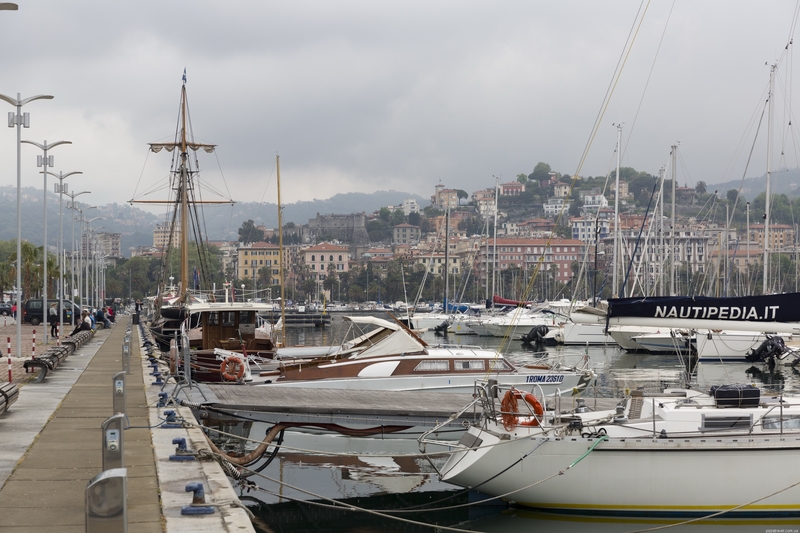 La Spezia is the administrative center of the Liguria province. 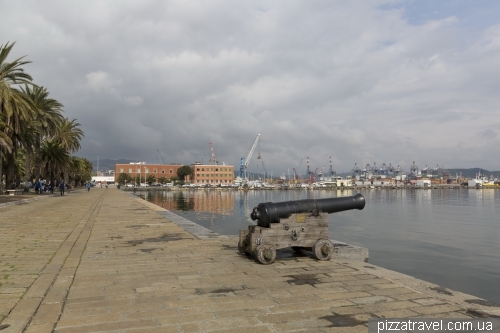 There is one of the largest container and military ports of Italy in the city and therefore here are not so many tourists. The warships are clearly visible from the road leading to the Cinque Terre. 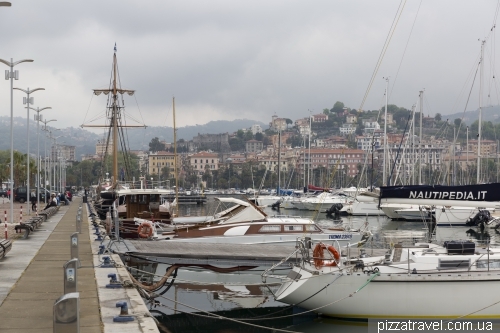 Most tourists come to the city only because it is convenient way to get to the Cinque Terre. 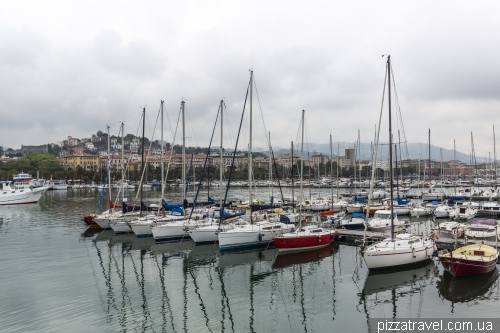 La Spezia can be an excellent base city, because everything here is much cheaper. 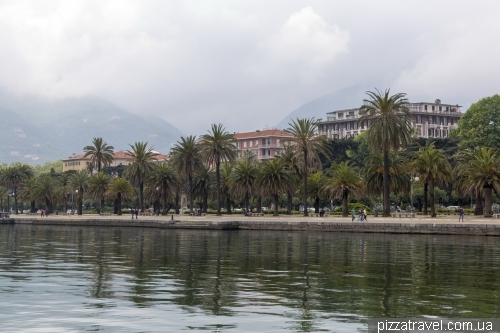 We did so, right at the railway station there is the hotel Affittacamere Casa Dane (booking.com). It has parking, which is important. 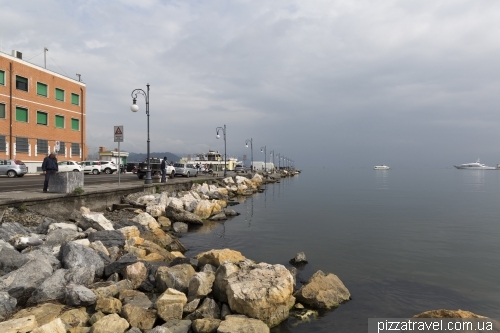 The train can reach Cinque Terre in 10 minutes. 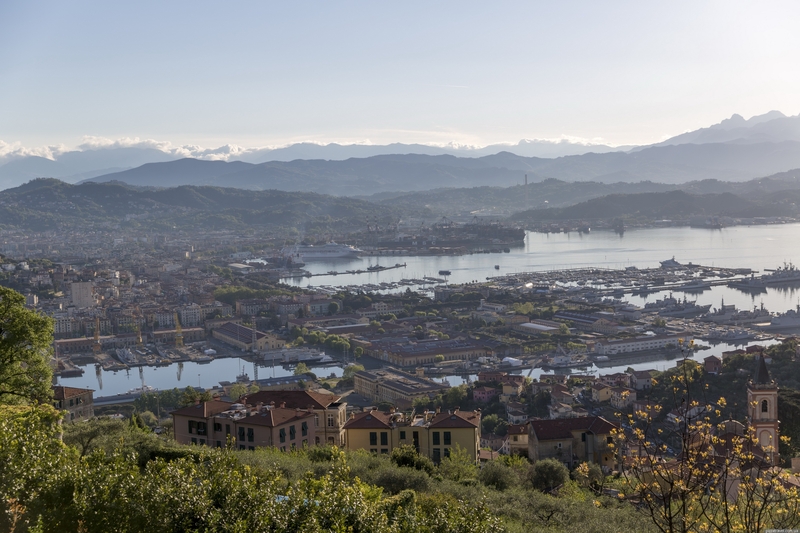 Although La Spezia has developed as a resort since the middle of the 19th century, the city is little known, since it has no beaches. 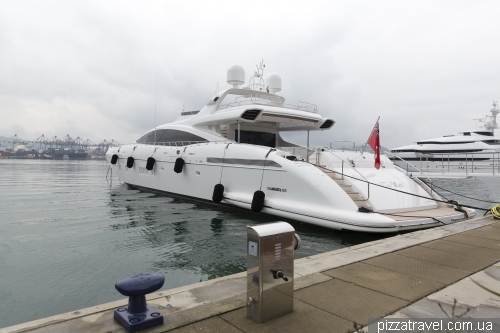 The nearest one is 10 km away in Portovenere. In the city the best place for walking is an embankment. 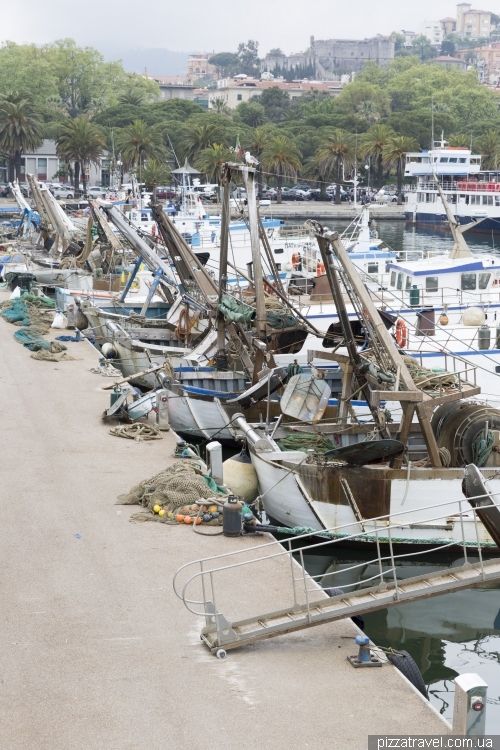 There are quite a lot of fishermen ships parked in the marina. The fish market is open every morning on on Piazza Cavour. Marina is also a pretty place. Some yachts are quite big. 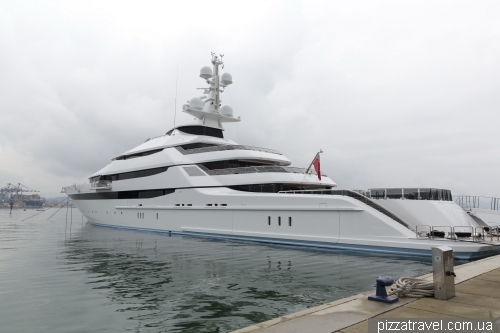 And the largest one, 86-meter yacht, code-named Y708, belongs to... Olga Sechina, the wife of the head of Rosneft - Russian government company. It became clear after the investigation of Novaya Gazeta (russian language). Getting there: by train to La Spezia Centrale station. Find schedule at http://www.trenitalia.com/tcom-en.